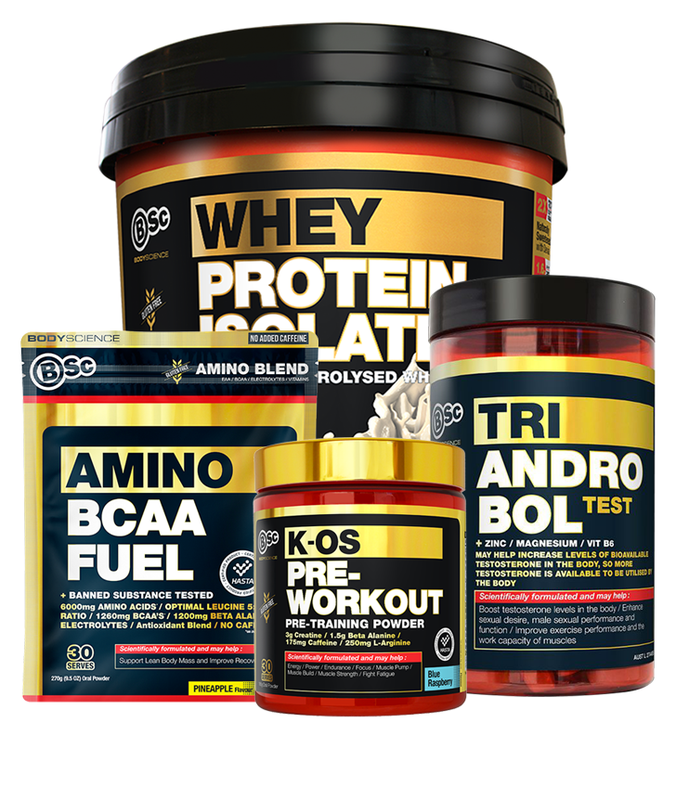 Formed in 1999, Australian company Body Science BSc has quickly gained a loyal following for its wholistic take on sports nutrition. The list of renowned endorsees - both teams and individuals - is impressively long, including Australian Rugby League, Australian NRL, Australian Touch Football, Cricket Australia, the Sydney Kings, Red Bull Racing Super Cars, Mark Knowles, Greg Bird and Richie 'Vas' Vaculik. Body Science BSc's development came out of the desire to fill a market niche - the need for sports nutrition products that are not only results-driven, but also ethical and nutritional. Hence, Body Science supplements provide the elements necessary to sporting excellence (strength, endurance, muscle growth, power and so on), but they're also big on overall well-being. All corners of the market are covered - from elite athletes to professional sportspeople to weekend warriors. Customers are encouraged to work out their personal needs and goals and to use BSc Body Science supplements accordingly. The products are categorised in a number of different ways (including gender, goals and nutritional needs), so that effective choices can be made. 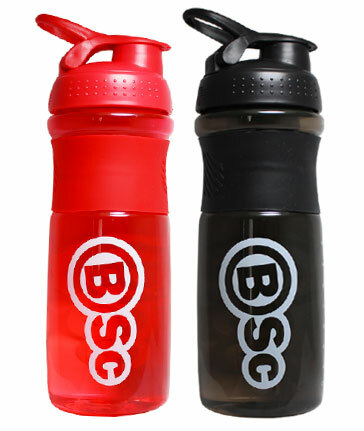 Body Science BSc is known for its innovative, forward-thinking products. A vast array of powders, capsules and tablets are available - both as blends and as single ingredients. 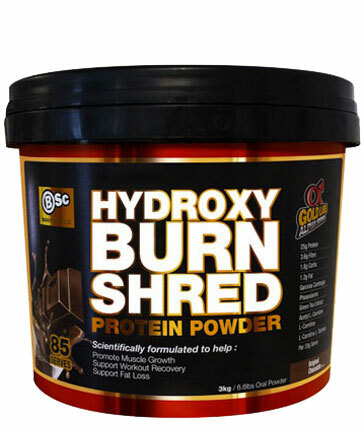 Some of the most powerful options include Amino BCAA Fuel, comprised of Branched Chain Amino Acids in a 5:1:1 ratio; BSc Hydroxy Burn Lean 5, containing 5x Digestive Enzymes and an Ultra Premium Protein Blend; and K-OS Pre-Workout, a complex pre-workout supplement featuring creatine, beta-alanine and nitric oxide enhancers, amongst other ingredients. The need for sports nutrition 'on-the-go' is also taken care of, with a range of BSc Body Science supplements in the form of snacks, such as the Lo-Carb Protein Bars and Balls for weight loss and the Nitrovol Bars for energy; and beverages, such as Intra-Workout Hydration Powder and Green Tea X100. In keeping with the goal of promoting comprehensive health, BSc Body Science incorporates a nutrition aspect into many of their products. On top of this, there's also a range of Body Science supplements that are predominantly nutrition-driven. The 'Naturals' line, for example, is largely comprised of vegan and/or organic ingredients. These include the Natural Greens Wholefoods, which is a blend of alkaline greens designed to support the immune system; and the Body Science BSc Organic Vegan Protein, which simply features the natural protein-based sweetener Thaumatin, derived from the Katemfe fruit, and natural vanilla flavour.